Chris Malta’s Wholesale Supplier Tip 15 tells you what “Free on Board” or “Freight on Board” actually means, and describes the impact that FOB has on your end costs when you find wholesale products to sell online. Wholesalers and dropshippers have their own language, or industry jargon and wholesale terminology they like to throw around. 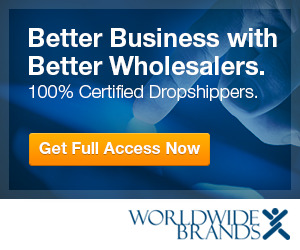 When you understand what they’re really saying, you can approach potential wholesale suppliers with confidence. Find out what the most common wholesale terms and jargon mean to your online retail or home business.